Displaying the same lack of vision that put its entire industry into a state of crisis just over a decade later, in 1989 Sony Music decided to stop making vinyl records, dismissing the format as outdated and cumbersome compared to the sleekness and portability of CDs. What the company failed to account for was the intangible quality of analog “warmth,” not to mention the fact that it looks way cooler to walk around with a stack of LPs under your arm than to lug around a binder full of CDs. 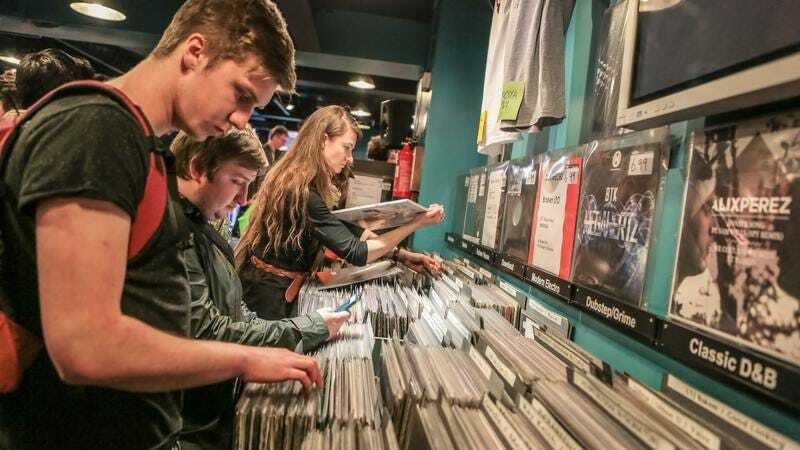 So while we’re still waiting, by and large, for the CD revival, these and other factors have led to an unprecedented resurgence of the vinyl market, which is now big enough that Sony is going to start making LPs again 28 years after declaring the format dead. The company’s first new pressing plant in decades will be located inside a factory southwest of Tokyo, The Washington Post reports, increasing the move’s cool factor several times over. Sony hasn’t decided what artists or even genres of music will have their work pressed into wax, but the plant—which will bring back retired engineers to show the young’uns how to make LPs, according to CNN—is scheduled to open by March 2018. Meanwhile, industry directory Vinyl Pressing Plants counts nearly 30 pressing plants small and large in the U.S. as of 2017, up from the 16 NPR reported back in 2015.